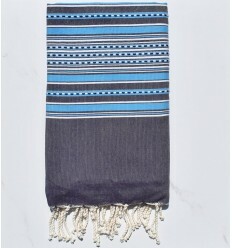 Arabesques foutas are flat woven with hand-knotted fringes ,they are 100% cotton with multicolored Berber side stripes and various patterns that give them a chic and original look. 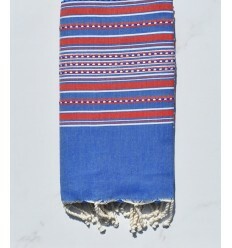 Superb beach towel arabesque 100% cotton midnight blue with yellow stripes, gives an original style with its bright colors! 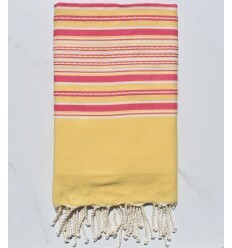 Superb beach towel arabesque 100% cotton purple with yellow stripes , gives an original style with its bright colors! 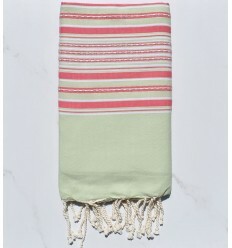 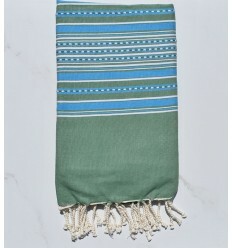 Superb beach towel arabesque 100% cotton , pale olive green with yellow stripes , gives an original style with its bright colors! 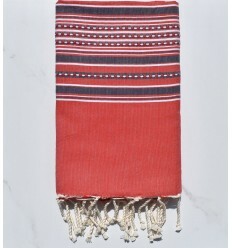 Superb beach towel arabesque 100% cotton yellow with red stripes, gives an original style with its bright colors! 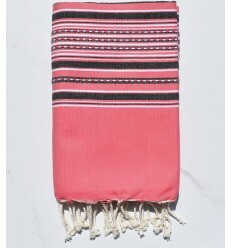 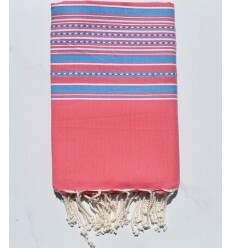 Superb beach towel arabesque 100% cotton purple with red stripes, gives an original style with its bright colors! 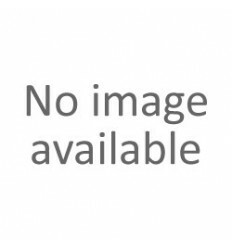 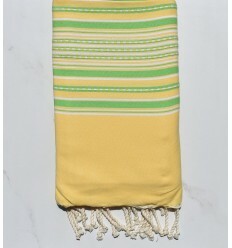 Superb beach towel arabesque 100% cotton yellow and green, gives an original style with its bright colors! 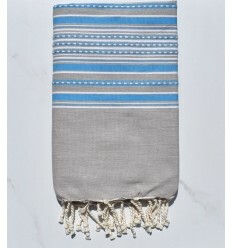 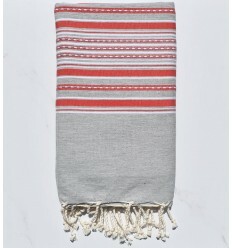 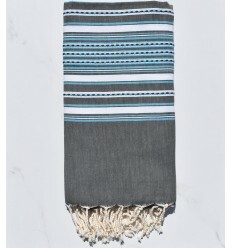 Superb beach towel arabesque 100% cotton Grey, gives an original style with its bright colors!